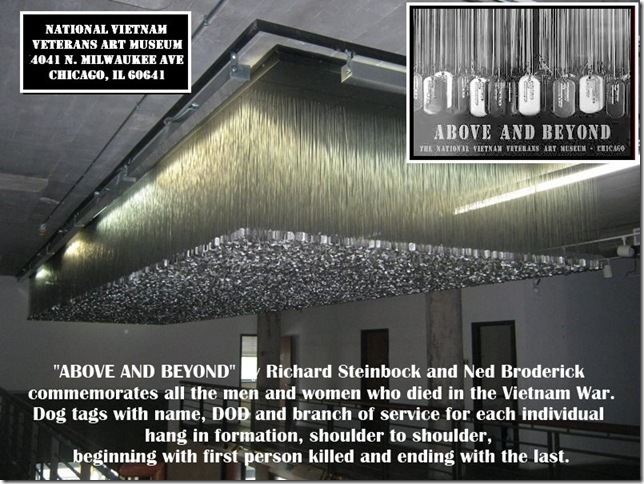 Dog tags of the more than 58,000 service men and women who died in the Vietnam War hang from the ceiling of the National Vietnam Veterans Art Museum in Chicago on Veterans Day, November 11, 2010. The 10-by-40-foot sculpture, entitled Above & Beyond, was designed by Ned Broderick and Richard Steinbock. Very cool! This would be interesting to see. Awesome, didn’t know this existed.